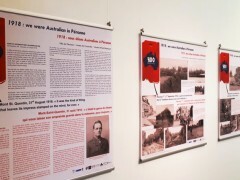 Albany has played a pivotal role in commemorating The Centenary of Anzac, which marks 100 years since our involvement in the First World War. In 2018, commemorations will centre around the returning of soldiers to Australian shores with several key events planned for Albany. 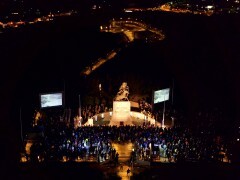 Albany is widely considered to be the birthplace of the Dawn Service tradition and the 2018 service will take place at the Desert Mounted Corps Memorial, simulcast live at Albany Entertainment Centre, Anzac Peace Park and Anzac Albany Festival in the grounds of the National Anzac Centre. This will be followed by a traditional Gunfire Breakfast outside the Albany Entertainment Centre and Anzac Day Parade through the streets, ending at Anzac Peace Park for the traditional Anzac Day Memorial Service. 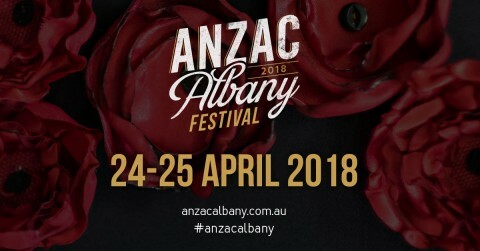 The Anzac Albany Festival is a free event that will welcome both locals and visitors alike to the grounds of the National Anzac Centre on 24 and 25 April for a program of WWI themed activities, screenings, and live music. 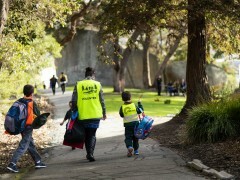 For those wanting the full Anzac Albany experience, the Convoy Campout offers the opportunity to sleep within the grounds of the National Anzac Centre on Tuesday 24 April and enjoy a WWI-themed experience of campfires, live performances and movie screenings before waking to take a shuttle bus or guided hike to the Dawn Service. 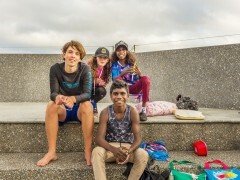 Tickets to the Convoy Campout also include discounted access to the National Anzac Centre, an exclusive Gunfire Breakfast, access to food and beverage overnight, a spot for swag or tent and a contribution from every ticket sold will go to the War Widows’ Guild of Australia. Commemorations will continue in November with Remembrance Day marking the moment the end of WWI was announced. 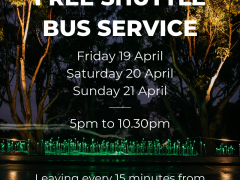 Internationally acclaimed artist Bruce Munro will be creating Field of Light, an immersive art installation that will gently illuminate the Avenue of Honour at Mount Clarence to pay tribute to the Anzacs who departed from Albany for the Great War. 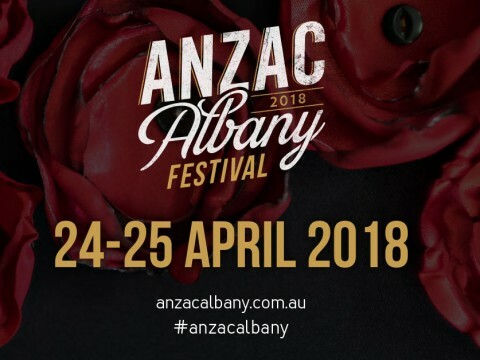 Anzac Albany 2018 has been made possible with the support of the Australian Government’s Building Better Regions Fund, Lotterywest and the City of Albany.